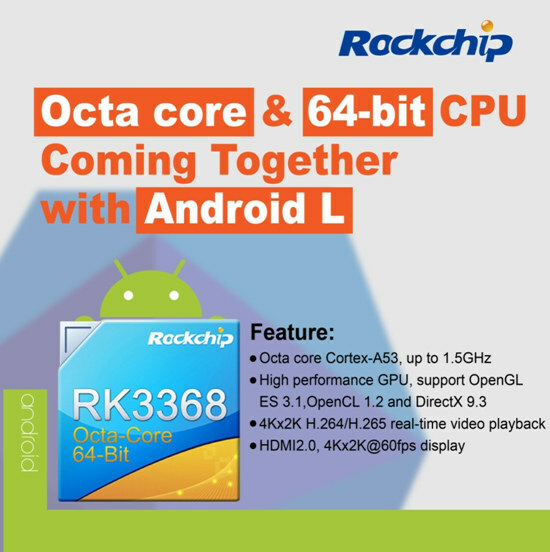 Rockchip is also at CES 2015, and they’ve announced and are showcasing a new octa-core processor called RK3368 with eight 64-bit ARM Cortex A53 cores that will go into tablets and 4K UHD media players in the coming year. 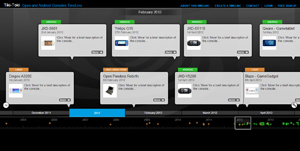 Most news outlet and blogs at CES only cover big brand, so all I got are a few tweets from Rockchip twitter account. The eight cores will be clocked up to 1.5 GHz, and the SoC includes an unnamed GPU with support for OpenGL ES 3.1, OpneCL 1.2 and DirectX 9.3. 4Kx2K H.265 and H.264 video decoding will be handled by the chip too, as will out HDMI 2.0 for up to 2160p @ 60 Hz video output. 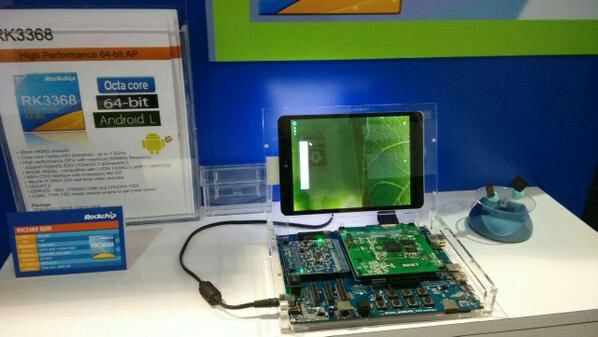 RK3368 tablets and media players will run Android 5.0 Lollipop. RK3368 is probably the official name for MayBach processor. X BOX 360, Sega Dreamcast ! Humeur : Ok j'aime le rétro... Mais c'est la PS4 quoi !